December 28, 2010  Though Neanderthals went extinct long ago, advances in DNA technology are shining new light on our ancient relatives. 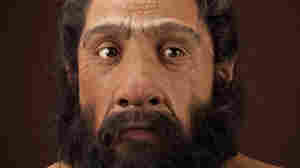 This year several scientists used DNA to reveal not just similarities but also genetic differences between Neanderthals and us. The Charging Conundrum: How To Feed Electric Cars? December 14, 2010  Plug-in electric cars are in showrooms and on the highways, but there's currently no convenient way to recharge them. 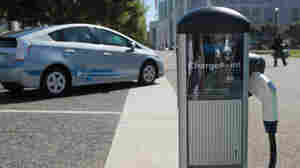 Electric grid engineers are now trying to build an infrastructure to handle the cars' erratic demand for electricity. Beyond Cancun: What's The Future Of Climate Policy? December 6, 2010  Experts say outcomes from the U.N. climate meeting in Cancun will not include a new international treaty. Rather, a piecemeal approach, with individual countries setting their own goals for greenhouse gas emission cutbacks, is likely. December 5, 2010  The number of Americans who believe global warming is a scientific fact has dropped. Environmental groups and climate scientists who say the evidence for warming is clear are scratching their heads over this reversal and scrambling to find a new strategy. November 16, 2010  Humans are the smartest creatures on Earth, and scientists are trying to figure out just how we got that way. Compared with our closest relative, the Neanderthal, who grew quickly and died young, our "slow growth" seems to explain our more sophisticated brain. 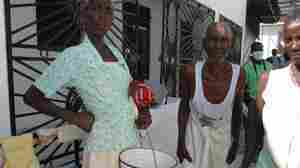 October 29, 2010  The cholera epidemic in Haiti is slowly spreading into new areas, mostly in the north of the country. Public health officials are racing to get health tips and warnings to the public via radio broadcasts and text messages to cell phones. 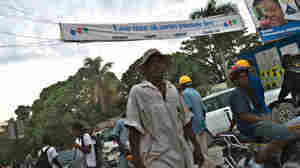 October 28, 2010  Haitians have shown extraordinary resilience -- or perhaps it's that they are hardened. 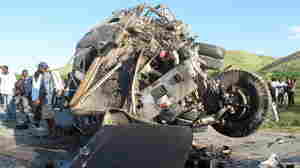 NPR's Christopher Joyce reports from the scene of a horrific traffic accident on the way to Saint-Marc, where the cholera epidemic got its start. October 28, 2010  The cases of cholera in Haiti continue to climb, albeit more slowly than they did last week. The Ministry of Health and western aid groups are spreading out across the country preaching a gospel of clean hands, cleaner drinking water and what to do if you get sick. 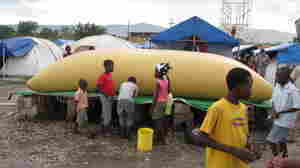 October 27, 2010  The crisis in the northwestern part of Haiti seems to have stabilized, but many more people may be carrying the cholera bacteria without showing symptoms. Doctors and aid groups are rushing to quell the outbreak. October 23, 2010  The $6 billion federal program, known officially as Homestar, would put money into the hands of homeowners and contractors who make homes more energy-efficient. That is, if Congress decides to pass it. October 21, 2010  Scientists have identified unusually hungry microbes living at the bottom of the Gulf of Mexico that eat methane. Methane was a big part of the Gulf oil spill, and it's possible that these microbes ate some of it. 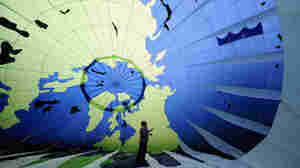 The research also could help scientists understand climate change, since methane is a big contributor to warming. October 19, 2010  European scientists have discovered that the paleolithic diet may have consisted of more than just meat and wild plants. 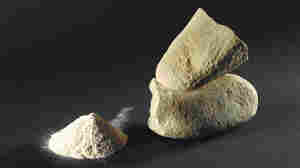 Ancient mortar and pestles show evidence of flour ground from the starchy parts of cattails and ferns. 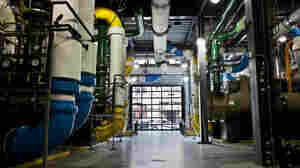 September 29, 2010  A facility in Baltimore uses a high-tech version of old-fashioned ice to provide efficient, thrifty cooling to local buildings. Water is frozen at night when electricity is cheapest, then chills water circulated to buildings. Customers save about 10 percent on their energy costs. 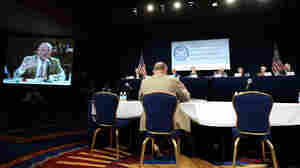 September 28, 2010  Scientists and government officials summoned to the presidential commission investigating the Deepwater Horizon oil spill said Monday that the oil industry and responders were unprepared for such a catastrophic event and the nation needs a better plan to deal with big spills. 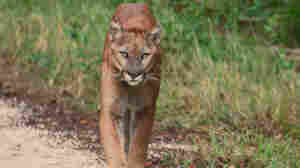 September 24, 2010  By 1995, there were only about 25 Florida panthers remaining in the wild. A breeding program and careful monitoring have helped restore the population's health. But the big cats aren't out of the woods yet.